A place to find peace and spiritual guidance. A place to ease your mind and refresh your spirit…one step at a time. 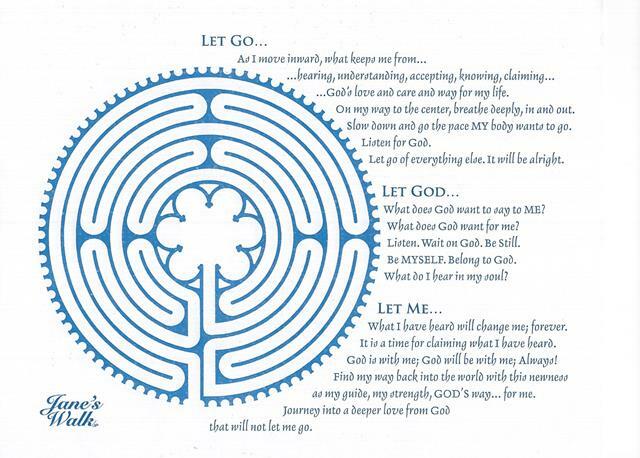 A labyrinth provides a place to find spirituality, a place to ease the mind and refresh the spirit, one step at a time. Walking the labyrinth is a way to gain peace and guidance. Our labyrinth was built as a tribute to the life of Jane Engelbrecht Bashara, who exemplified Christian values well beyond the church walls and touched the hearts of all she encountered. The location provides access to the community any time without entering the church. Everyone is welcome. We hope Jane’s Walkgp will inspire peace, love and giving in the community.